that thinks that everything going on in the world and economy right now is just a hiccup that will go away in the spring. 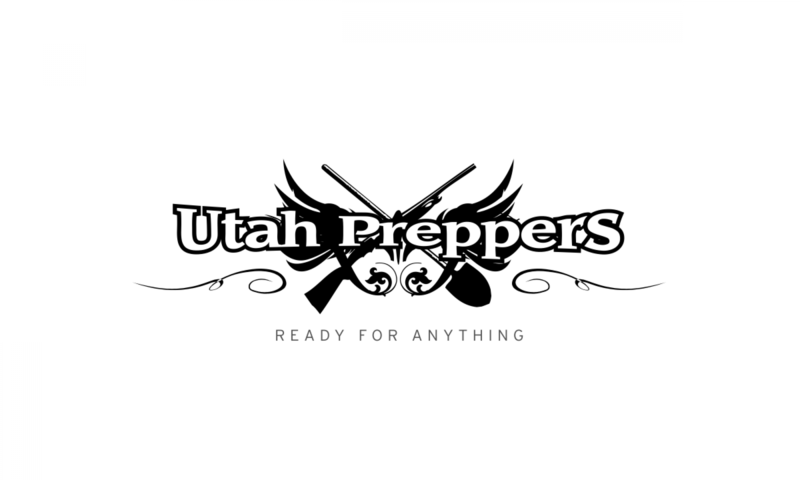 You know, the ones that we preppers are pretty sure we’re going to have to fight off from killing us and stealing our preps WTSHTF. But, just in case any of you are slightly toeing the line with the popular hero-worshiping of the Socialistic head of the ‘Office of the President Elect’ thinking somehow he’s going to Change anything but his mind, or that somehow he’s going to bring Hope to the country – I bring you this. There are very few mainstream articles being published right now that are presenting a realistic top-down view of the entire situation with the economy. The quotes I’m going to present to you here are from mainstream publications but the key point of them is that these are quotes from high level analysts and executives in widely respected financial companies who are remarking that things are bad, very bad and they are going to get much worse. The Labor Department said more Americans are collecting jobless benefits than at any time since 1982. Economists estimate a report tomorrow will show the unemployment rate increased to 6.8 percent, a 15-year high. “There’s a concern out there that this isn’t a recession, it’s the Great Depression II, or the Great Recession I,” said Kenneth Schapiro, president of Condor Capital Management. Crude oil tumbled 6.8 percent to $43.59 a barrel in New York, the lowest price since January 2005. It has plunged 70 percent since the closing record of $145.29 set in July and may fall below $25 next year if the recession that’s slashing fuel demand around the world spreads to China, Francisco Blanch, commodity strategist at Merrill Lynch, wrote in a report today. The Labor Department said today that 4.09 million fired workers received government unemployment checks in the week ended Nov. 22, the most since December 1982 and more than economists estimated. The bank said the damage caused by the financial excesses of the last quarter century was forcing the world’s authorities to take steps that had never been tried before. This gamble was likely to end in one of two extreme ways: with either a resurgence of inflation; or a downward spiral into depression, civil disorder, and possibly wars. Both outcomes will cause a rush for gold. “They are throwing the kitchen sink at this,” said Tom Fitzpatrick, the bank’s chief technical strategist. “The world is not going back to normal after the magnitude of what they have done. When the dust settles this will either work, and the money they have pushed into the system will feed though into an inflation shock. “Or it will not work because too much damage has already been done, and we will see continued financial deterioration, causing further economic deterioration, with the risk of a feedback loop. We don’t think this is the more likely outcome, but as each week and month passes, there is a growing danger of vicious circle as confidence erodes,” he said. “What happens if there is a meltdown in a country like Pakistan, which is a nuclear power. People react when they have their backs to the wall. We’re already seeing doubts emerge about the sovereign debts of developed AAA-rated countries, which is not something you can ignore,” he said. The problem with the situation we find ourselves in is that while right now it’s getting worse at a very fast pace, the bottom could fall out at any time – and when it does that it’s too late! The bottom falling out will happen when a critical amount of people suddenly realize exactly what is going on and they all hit the store and gas station at the same time. Overnight everything will be gone, panic will set in and things will get insane. Once the stores are emptied, there is very little hope that they’ll be refilled. There will be millions of people who find themselves without food and their next step will be rioting and violence. Trucks attempting to deliver re-supply goods to stores will be hi-jacked and robbed, people will start doing horrible things to keep from starving to death. This possibility will either happen, or it won’t. But as things continue to accelerate downward, which these experts predict they will, something similar to that scenario is very likely to happen. If you are thinking that you don’t need to be fully prepped right now or that you have plenty of time to get ready – STOP! While there is a chance that you have time, the level of risk you are taking is getting very very high. There are two choices – get fully prepped NOW or wait. There are two financial decisions, spend money in getting fully prepped NOW or spend or save your money on something else. There are two consequences, when TSHTF you are either prepared and not participating in the insanity, or you are unprepared and joining the panicked, soon to be starving masses in insurrection at the local market. Those are the choices you have to make now that will determine which consequence you endure. This thing isn’t going to go away or get better, it’s going to speed up and the direction it is accelerating to is down and worse. If you choose to ignore it, you might be right – and I won’t invite myself to your celebration party. But if you’re wrong, please return the consideration and don’t invite yourself to my bunker. This post is the background and basis for future posts we’ll be doing here about “How to Prepare to Survive the Coming Depression”. Interesting post. I think too we are headed toward a major event and do not know if we can steer around it. Fully agreed. While I think that a catastrophe *could* be avoided with some sacrifices needing to be made, I don’t have faith that our government will make the hard choices. If I were to put on my tin foil hat, I would say that this is by design to remove our sovereignty and move us towards one world currency. Keep up the great posts. I am new to the area of emergency preparedness, so I want to soak up as much information as possible. I’m reading as many blogs as I can on this topic. I think that the money has stopped flowing at the top, but most of us don’t realize it yet because it is still trickling down through the system. Great post. I’m not new to the prepper idea. It’s helpful to see professional opinions listed in a blog. Most times, blogs are full of opinion and conjecture. It’s helpful to also remember to promote a positive and hopeful outlook by recognizing the negative and promoting the positive.